The AAUP’s mission is to advance academic freedom and shared governance, to define fundamental professional values and standards for higher education, and to ensure higher education’s contribution to the common good. 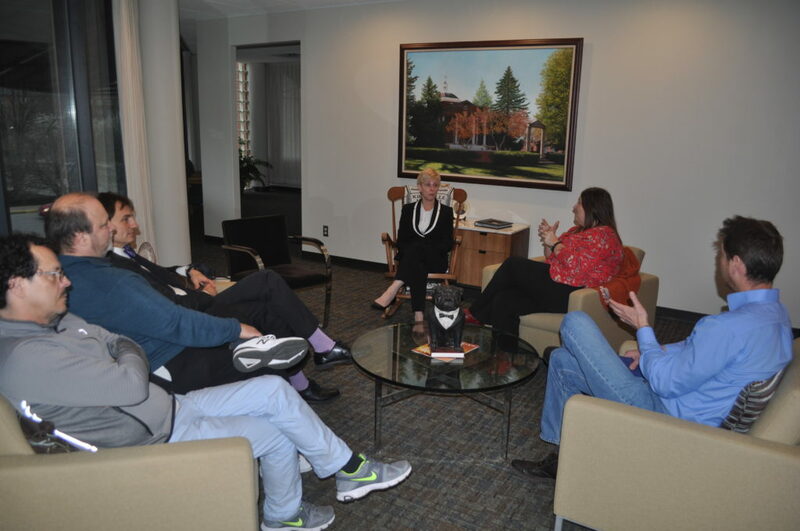 AAUP has a long established tradition of meeting with new administrators as they assume their duties in order to discuss issues of common concern. On March 29, 2017, the Truman State University chapter of AAUP had the privilege of meeting with President Sue Thomas. Meeting Schedule During the Spring 2019 semester we will meet the third Monday at 4:30 p.m. of the month: January 28, in BH107 and February 25, March 18, and April 15 in BH100. The AAUP's Policy Documents and Reports, also known as the Redbook, contains the Association's major policy statements. Order the book from the national AAUP site. A selection of policy statements from the Redbook is available online.